You are an artist. A professional. You choose your tools with care. That is why you choose Spirit. 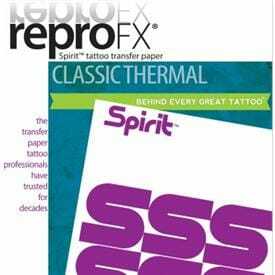 From Spirit transfer papers to blue carriers and Spirit transfer cream, Spirit manufacture high quality tattooing products for Tatto artists worldwide. There is a reason why Spirit are the most asked for name in tattooing. Spirit, since 1946. Behind every great tattoo.